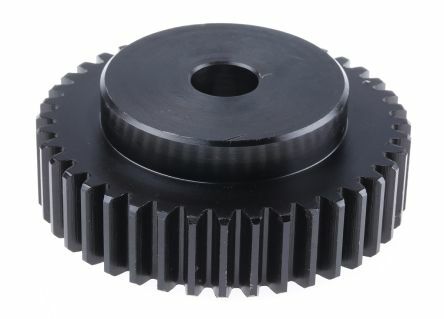 You can shop with total confidence for gears at RS Components. Our extensive range of mitre and bevel gears as well as spur and worm gears are all RS branded, meaning you can cut the cost but not the quality. You will also find an expert selection of gear rack rails and fixing kits. 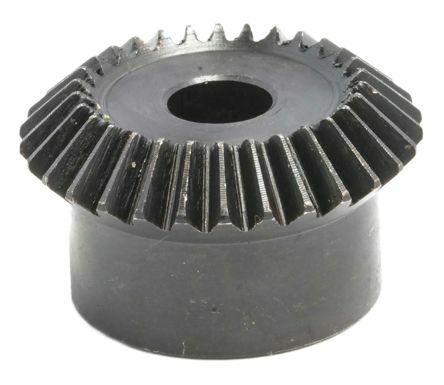 A range of steel mitre gears providing a 1:1 gear ratio. Made from S45C induction hardened steel with a chemi-black finishTensile strength (min) 569 N/mm²45° pitch angle, 48° face angle. 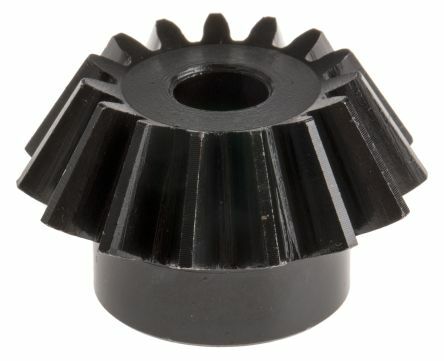 A range of steel bevel gears. Made from S45C induction hardened steel with a chemi-black finishTensile strength (min) 569 N/mm²20° pressure angle. 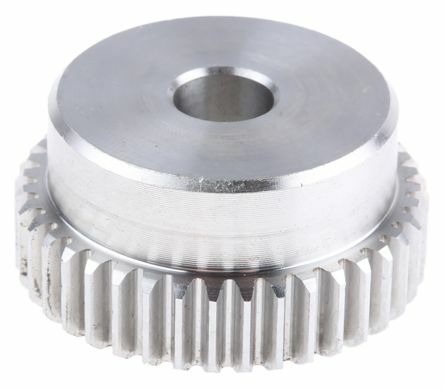 Stainless steel spur gears providing a range of gear ratios. All gears are module 1.0. Made from SUS303 (JIS 4051) stainless steelTensile strength 510N/mm²Pressure angle 20°Dimension E 10mm.